The Pedigree range includes some of the best products on the market when it comes to digestion. We regularly test our wet and dry products to ensure that they deliver great nutrition for your dog, and that they are optimally digestible so that their faeces is easy to pick up. Changing your dog’s diet too quickly – or giving them leftovers from your plate – can give them messy poo, an uncomfortable digestive tract or even diarrhoea. 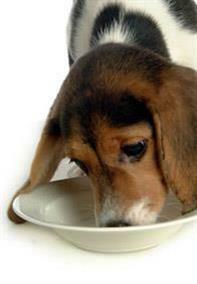 When changing your dog’s diet from any kind of food to another, try to do it gradually, over a period of seven days. Just change the proportions of old and new food gradually each day until the new food makes up the whole meal by day seven. Large and giant breeds may experience more problems when you change their diet because they tend to have poorer quality faeces than smaller dogs. This is probably because food takes longer to pass through the digestive tract of large breeds, so it has a longer exposure to bacteria that cause it to gradually ferment. Click here for more information on dog health.